Circa 1842. (OP2018-00195) If you are looking for an authentic Charleston experience and not just a room, this is the inn for you. (Call directly for the lowest rates - 843-722-7602.) Your stay includes a full hot breakfast, parking, and a Charleston Social Hour (no cheap wine allowed). The Phillips-Yates-Snowden House is now the home of Dr. & Mrs. Jack W. Simmons, Jr. The property was originally owned by Captain Timothy Phillips during the Revolution. The Yates family constructed the present house in the early 1840s and it served as a hospital during the Civil War during which time it was struck by four cannonballs, two of which are now mounted on the gate posts. It is notable for its Adam style paneling by Thomas Pinckney and ironwork by Charleston iron-wright, Philip Simmons, his most recent addition (1998) being the basement gate at the front. The Earthquake of 1886 leveled the 4th story, which was rebuilt with a Mansard roof. Subsequent to this, the structure was reinforced with "earthquake rods", bolts running through the house between the exterior walls. Almost 100 years later, in bringing the structure up to code, this same technology was used with the addition of nine more bolts. Payment Types Accepted Include Cash, Ck, PayPal and Zelle (Not set up to accept credit cards). This property has 2 total guest accommodations with private bath and 1 guest house. The types of beds available include Twin, Double, Queen and King. Cannot accommodate pets as we have one dog and two indoor/outdoor cats. In deference to those with pet allergies, our animals are not allowed into guest rooms and are restricted to the innkeepers rooms and some common areas. Quiet, large, tastefully decorated rooms in the Old & Historic residential district. This is the Innkeepers family home. Designed by renowned landscape architect, Loutrell Briggs. Our rate for up to double occupancy is $325,00/night + 4% tax. Extra guests in the same venue are only $50/each + tax. (Note there are NO other accommodation fees tacked on.) If you stay four or more nights there is a 10% discount. 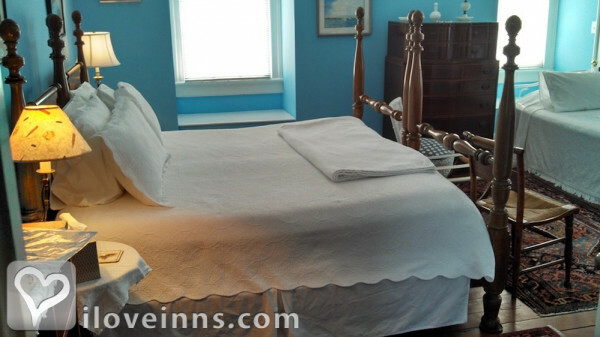 Included in the rate is a full breakfast, parking, and a 6 PM Charleston "social hour" with wine, soft drinks and imported cheeses There is one Queen bed and one King bed (convertible to twin beds). This could accommodate 5 to 6 depending on if someone is willing to sleep on a double -sized sofa bed with a modern high tech. mattress - no lumps or bumps.) We are within a 10 to 15 minute walk to most points of interest as well as restaurants Note: Our animals are not allowed in guest rooms in case anyone has an allergy. We appreciate your interest and hope to have you as our guests. 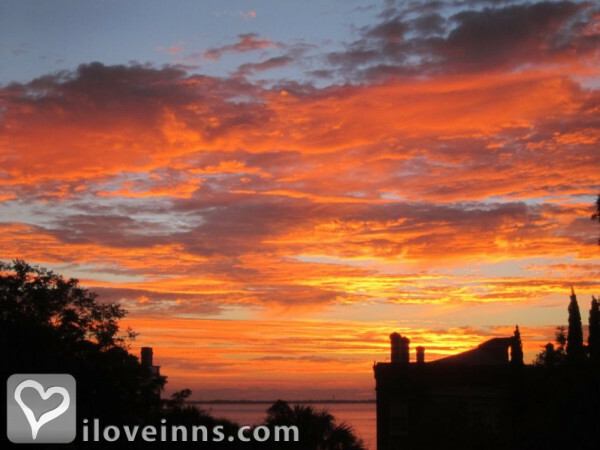 Please see guest comments on our webpage: http://www.bedandbreakfast.com/south-carolina-charleston-www.tripadvisor.com and www.fifteen.church. The Rose room with the Queen bed also has a separate day bed plus a trundle bed in the room if needed to accommodate a third or fourth guest. The Rose room is on the top floor with a view of the harbor and sunrise. It has a private bathroom with shower and tub. Our rates are $235/room/night up to double occupancy + 4% tax. Occasionally single nights are available at $245.00/night + tax. Extra guests in the same room are only $50/each + tax. (Note there are NO other accommodation fees tacked on.) If you stay four or more nights there is a 10% discount. Included in the rate is a full breakfast, parking, and a 6 PM Charleston &34;social hour&34; with wine, soft drinks, snacks. Sample menu attached. The room has a private in suite bath. Note: Our animals are not allowed in guest room in case anyone has an allergy. 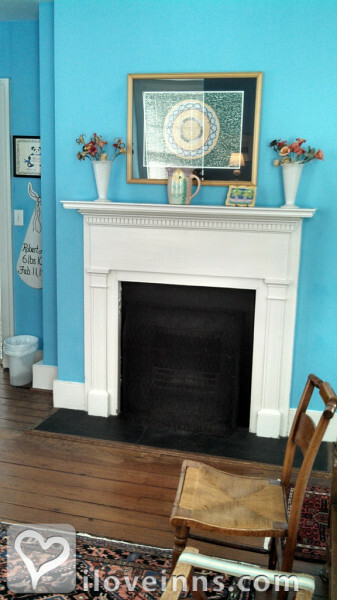 Please see guest comments on our webpage: http://www.bedandbreakfast.com/south-carolina-charleston-www.tripadvisor. and www.fifteen.church. 2 night minimum. Occasionally can accommodate one night under special circumstances. Making a reservation at a bed and breakfast is not the same as making a hotel reservation. Due to our small size, cancellations affect us significantly. A last minute cancellation gives us little chance of re-booking a room. For this reason we request at least 2 weeks notice. Guests are responsible for payment of all nights reserved regardless of their actual arrival or departure date. No-shows are responsible for full payment of their entire reservation. Should you cancel outside of 14 days prior to arrival, your deposit will be refunded. Cancellations (including changes) made 13 days or less prior to your scheduled arrival forfeit the 50% deposit. Exceptions may be made due to sickness, family emergencies, or weather related issues. Built in 1842 it is the "real thing" not something made to look historic. It has survived Civil War, Carpetbaggers, Earthquake, and Hurricanes. 10% discount on stays of 4 or more nights. Valid from 01/01/2018 through 12/31/2028. Jack and Annelise welcome you with open arms like welcoming family and treat you that way. The house is historic, quiet and close to everything. The service was wonderful - we did not want for anything (you will love the Julie's!). Jack went out of his way to make us feel comfortable and joined us at social hour for drinks on the porch to check on our day and give us ideas of what to do next. The rates are more than reasonable and we will be returning on our next trip! This is a beautiful property located in the heart of the historic district of Charleston. This was our first visit to Charleston and found that this location was within walking distance to restaurants, shops, parks, and sights. We stayed in the Carriage House with our three children and loved it! The property is wonderful and so were Jack and Annelise. Their hospitality can't be beaten and they had a lot of great information to share about the history of the town, places to eat and things to see and do. We can't wait to visit again! This was my second visit to Charleston staying in the Carriage House of this beautiful home. The owners, Jack and Annelise, bring their home back to life as soon as you enter with their warm southern hospitality, the wonderful breakfasts and the social hour in the evenings. Conveniently located in a beautiful part of the Historic District this home has it all. Thank you for sharing your beautiful home..I look forward to my next visit! We stayed at the recommendation of my son and daughter-in-law. Jack and Annelise were generous hosts not only with the "spot on" sightseeing tips, but also with the daily "cocktail" hour and delicious breakfasts served with fine china and silver. Their beautiful home exuded true southern style and comfort: part heirloom and part local treasures. I could not be more pleased at our accommodations situated in a lovely, historic neighborhood within walking distance to the ocean and so many sites. We will be back for another great escape from Wisconsin. Dr. Jack and Annelise are such wonderful and caring hosts. You actually get to stay in the house where Dr. Jack was raised. You cannot get much more authentic than that. Annelise teaches 4th grade and the history she can provide about Charleston is amazing, and she loves to share it. I learned so much from her. The entire staff is friendly and accommodating. The next time we go to Charleston we plan to stay in their carriage house. And if you love pets, their dog and cats are the sweetest things around. Located south of Broad St. they are located in easy walking distance to most of the attractions you would want to visit. Jack and Annelise are themselves interesting people, and they do a wonderful job of establishing a warm and comfortable atmosphere in their home, so allowing each guest to discover just how interesting his (or her) fellow guests are. Add the fact that Jack and Annelise know everyone and everything about Charleston, and you have the most pleasant B&B experience possible. My husband and I booked a two week stay at the Carriage House at 15 Church Street. We couldn't have been more delighted! The Main house, a Classic treasure, was delightful and has rooms to stay in that are lovely. We chose the carriage house with a separate entrance, a kitchenette, very sweet dining room, two bedrooms and a very lovely living room. We felt at home. Our hosts, Jack and Annalise couldn't have been more accomodating, they realy do love their guests and make them feel at home. From tea in the morning on the piazza, to sipping a delicious glass or wine with cheese delights, Annalise and Jack were gracious in every way. And the two Julies were helpful and attentive in every way. The location is fabulous and you can have a car if you need one. All in all we would love to come back, we felt like family. InnSide Tip - We loved the carriage house! The streets at night twinkled in the area we stayed in. During the day the fountains splashed and the gardens were treasures. The city has tons of restaurants, we loved SNOB, Slightly North of Broad. Make reservations way ahead of time. The city has so much history to offer, but don't miss the beaches. We loved Folly beaches pier! 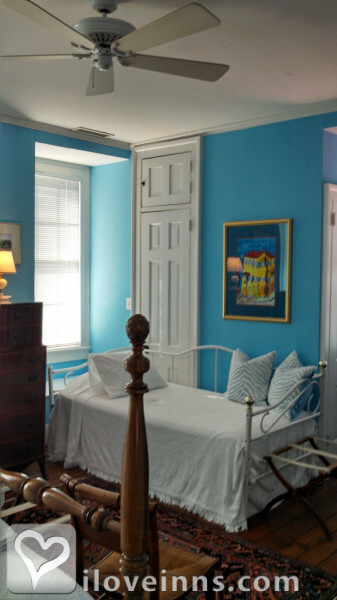 After researching thoroughly all B&B's in Charleston for price and location we chose 15 Church St. The location is perfect to walk or take the free municiple bus, it's a quiet neighborhood and being able to park your car off street is nice. The owners are wonderful and make you feel welcome to share their home as if you are family. The evening cocktail hour is especially fun and interesting since they both know so much about Charleston and the history of the home. We had the "Blue" room on the 3rd floor it is huge with windows looking over the neighboring roof tops. Bed was very comfortable with nice pillows and sheets, bath has shower only, which we prefer, with nice fluffy towels. We will definitely stay again! We stayed three nights at the lovely home of Jack and Annalise and this made our first visit to Charleston extra special! The most important part of traveling is meeting other people and trying to live like a local which is why we like to stay at B&B or boutique hotels. Jack and Annelise provided a lot of great information prior to our visit that made planning easy. They also let us know that their friend, Gayle, would be at their home since they would be gone during part of our stay. Jack, Annelise, and Gayle made us feel welcomed like we were dear friends visiting. We stayed in the rose room which provided beautiful views. 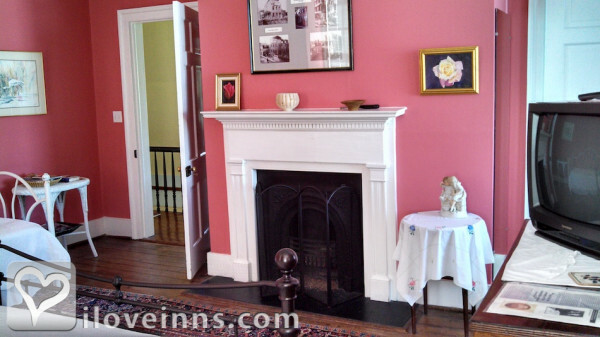 This is a beautiful old Charleston home so you are staying somewhere with history. There was a nice size bathroom attached with plush towels and good water pressure for the shower. We looked forward to their social hour in the evening with the hosts, the other guests and of course the pets! We enjoyed getting to know Frannie, Drifter, and Clarence. We enjoyed talking to the three other couples staying here during breakfast in the morning. Julie and Julie make the delicious breakfasts and they allow each guest to select from different options the evening before. There was always plenty to eat and great conversations around the dining room table! The location is perfect to explore Charleston. We took an Uber to and from the airport which was about a 30 minute drive. We walked all around the city so make sure to wear comfortable shoes because the streets and sidewalks have a lot of character! I would not recommend renting a car because the city is pedestrian friendly and many streets are narrow. If you need to go somewhere and didn’t want to walk, the Uber would work since it only took us 3 minutes when we called one to go to the airport. Our only wish is that we could have stayed a little longer! Thank you Jack, Annelise, Gayle, Julie and Julie! This was the third visit to Charleston for my wife and I, twice in the city and once across the river at the Holiday Inn. By far, this was the most charming setting with lovely hosts! Jack was out of state during our stay, but I had many conversations with him before and during our stay that made me feel welcome. Annelise made us feel like old friends from the moment we arrived. We spent most of our time walking the city, visiting establishments we already knew as well as recommendations from both Jack and Annelise. We were not disappointed! Chats with Annelise about the history of the city and of the house were captivating. She is a wealth of knowledge and a great storyteller. The house is just a few steps away from the harbor with the Ashley and Cooper rivers meet. Beautiful sunsets on the water from the Battery! The area transports you to another time, a time wonderfully described by Annelise herself. We absolutely loved our stay at their home! My wife and I just had a wonderful stay in this impeccably clean, classic southern home. We stayed in the Blud Room wihcih was spacious with the most comfortable king bed and great bathroom with a high pressure shower. The hosipitality by our hosts was the best my wife and I have ever had at a Bi & B. The location inf the French Quarter among Charleston’s most beautiful homes and mansions can’t be beat! I ca’t recommend this B & B enough!! This is the perfect combination of comfort, Southern hospitality, and location. 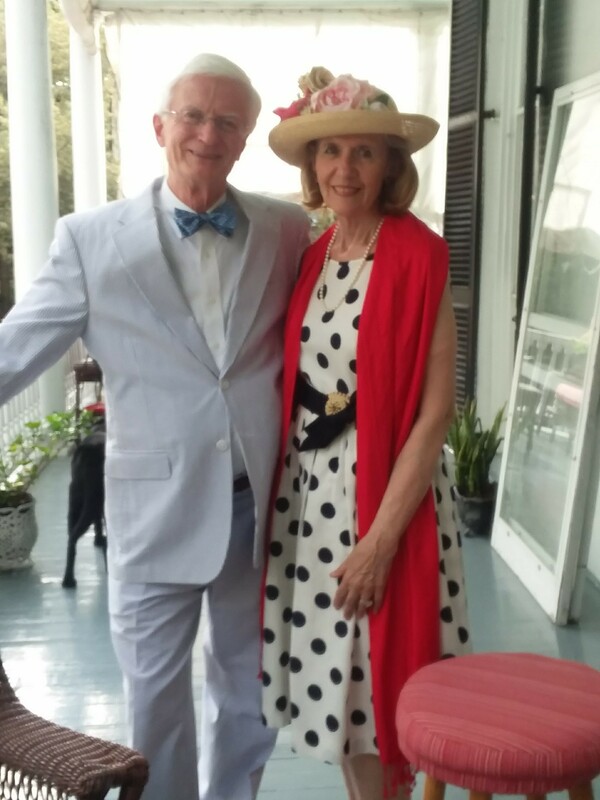 Jack and Annelise have lived in and been involved in Charleston for many years. They delight you with their stories, suggest lovely places to eat and visit, and share their home and pets with you. There are 2 talented Julies behind the scene making it all run smoothly. We thought we were seasoned Charleston visitors but Jack and Annelise helped us find even more to love about the city. Breakfasts to get you going(not weigh you down) and a social hour to review your day and refuel for an evening stroll. The pink room begins your day with a beautiful sunrise over the water. Good times! We have enjoyed Jack and Annalise's hospitality several times. Staying at 15 Church Street always exceeds our expectations. The location is perfect, the accommodations are wonderful. We have stayed in both the Blue and the Rose rooms. And the hospitality is wonderful. Jack and Annalise serve both beer and wine at happy hour and Jack always has a local craft beer on tap for the beer lovers in the crowd. I have never felt more welcomed and at home than at 15 Church Street. The proprietors, Jack and Annelise and hostesses Julies were very gracious, friendly and informative. From the very beginning of our booking process until after our departure they handled everything promptly, efficiently and treated us like family. I especially appreciated the time and care they took to tell us about their home, share its history, and the Southern antique decor. They exceeded our expectations. It was my 1st trip to Charleston and certainly will not be my last. I cannot wait to return for a future stay here. It was quiet, comfortable, and I especially enjoyed the evening meet and greet with refreshments on the veranda. The delicious family style morning breakfasts were also a delicious special treat. Once you enter their lovely home it is like stepping back in time to real Sutherin Charm. The antiques, wraparound porch, scenic views from the windows and warm Sutherin hospitality do not get any better. Their 4 legged porch pets Frannie, Drifter and Clarence were the icing on the cake. 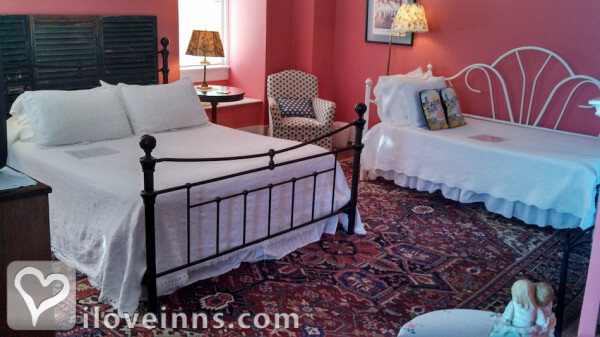 When you stay at 15 Church Street it is like visiting your "secret fishing hole"; you do not want to tell others about how great it is and cannot wait to return! My first experience with a bed and breakfast, and I am afraid that I am now spoiled! It truly was a wonderful stay and we cannot thank Dr. and Mrs. Simmons, the Julia's, and Oscar for their terrific hospitality. We stayed in the Carriage House, and the only comment I will make is to not take too large of a suitcase because of the stairs and the size of the rooms. The rooms are standard size for the age of the house, but can only support a couple of small to medium-sized suitcases. Dressers are available for your use, so you can leave your main suitcase in the living room downstairs and carry up your must have clothing for the dresser. Also, this is a "walking city." You really do not need your car, and parking can be expensive and hard to find. We utilized Uber for various trips such as dinner, and it cost between $6-$8 a trip depending on where we were going. The location for this home is very central to various sites, and quite lovely. Great art work throughout the house! The beds are so comfortable, breakfast hearty and good, social hour a wonderful time to interact with other guests and to talk the Simmons. Love cats and dogs - you will feel right at home!! I cannot recommend a stay here enough. I hate to give a review, because I would love to keep it my secret!